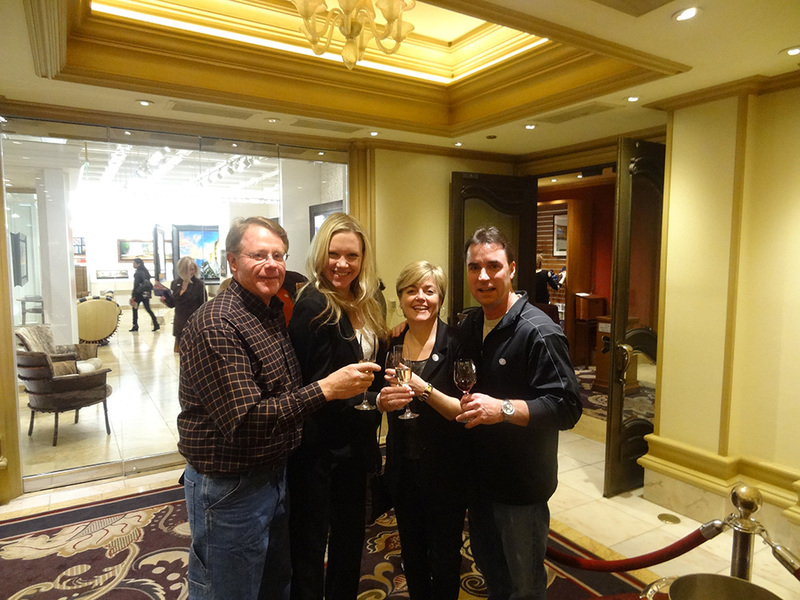 The Bellagio Gallery of Fine Art holds a special “Art & Wine Pairing” the second Wednesdays of most months. 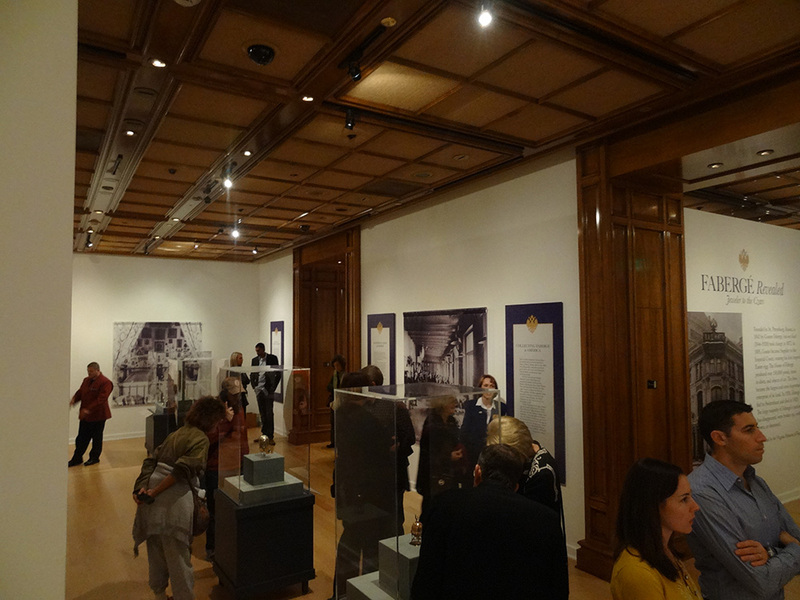 Fabergé Revealed: Jeweler to the Czars is the current exhibition. Next event takes place February 11th. 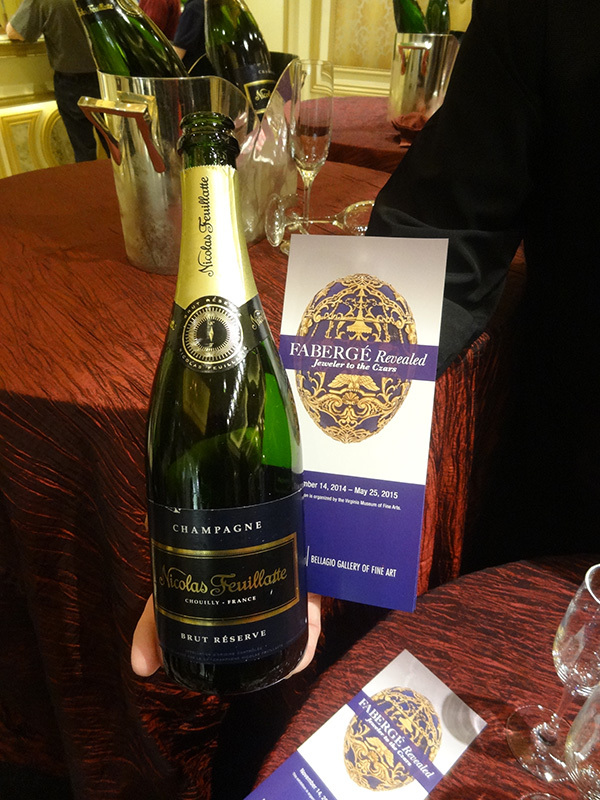 I’ve included pictures and notes from the most recent pairing a few weeks back, January 14th. 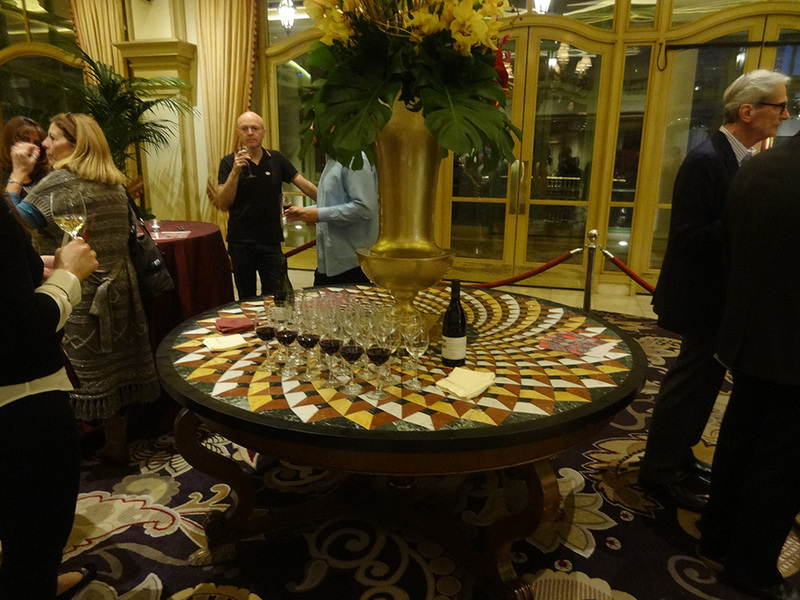 Art & wine is indeed a perfect pairing. 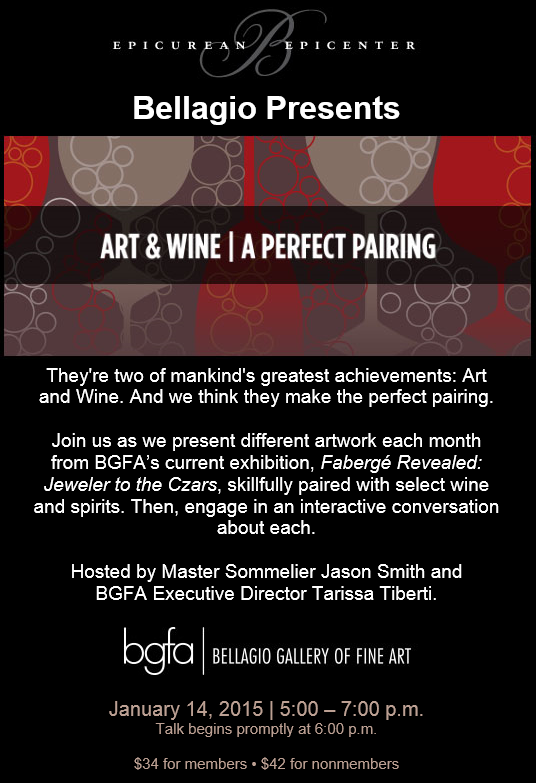 Master Sommelier Jason Smith works closely with the gallery’s Executive Director Tarissa Tiberti to create a spirit-filled, art-filled evening. 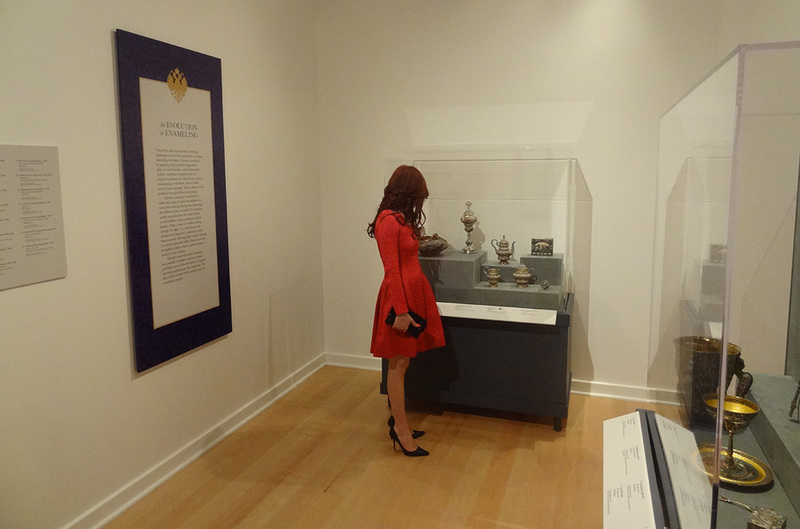 First, guests taste several prepared spirits before entering the gallery. 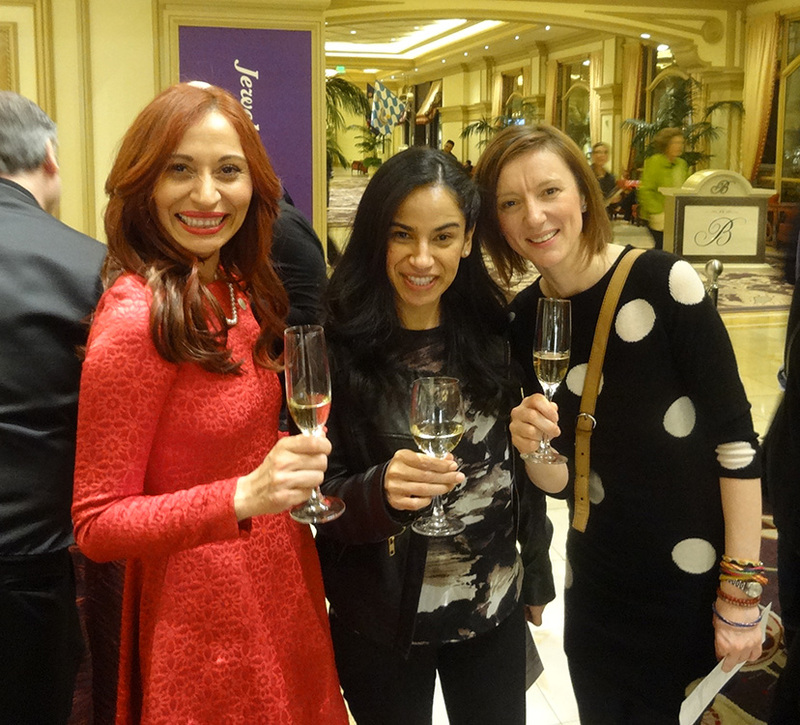 Shakespeare once quipped, “wine loosens the tongue.” My dear friend Beli Andaluz joined me for the event, and we soon found ourselves in several spirited conversations. 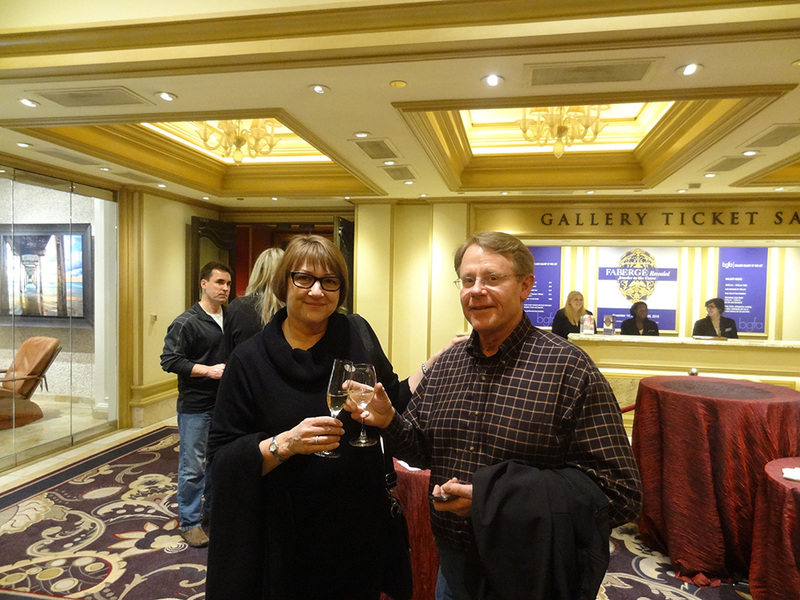 Generally no photography is allowed inside the Bellagio Gallery of Fine Art. The staff were kind enough to make an exception for me, provided I didn’t take specific shots of artwork, just general pictures to show the atmosphere and crowd. 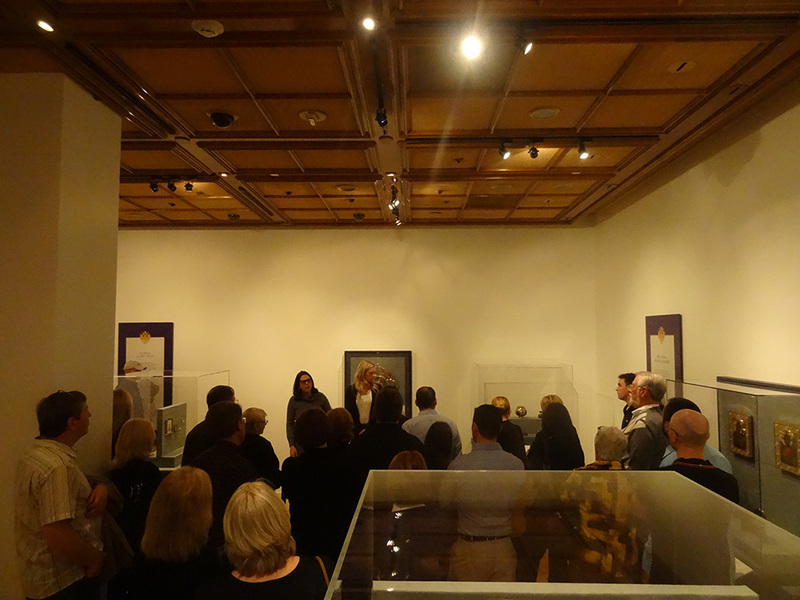 Tarissi and the Sommelier gave guests a chance to peruse the art, then gathered us for some interesting details along with Q&A. 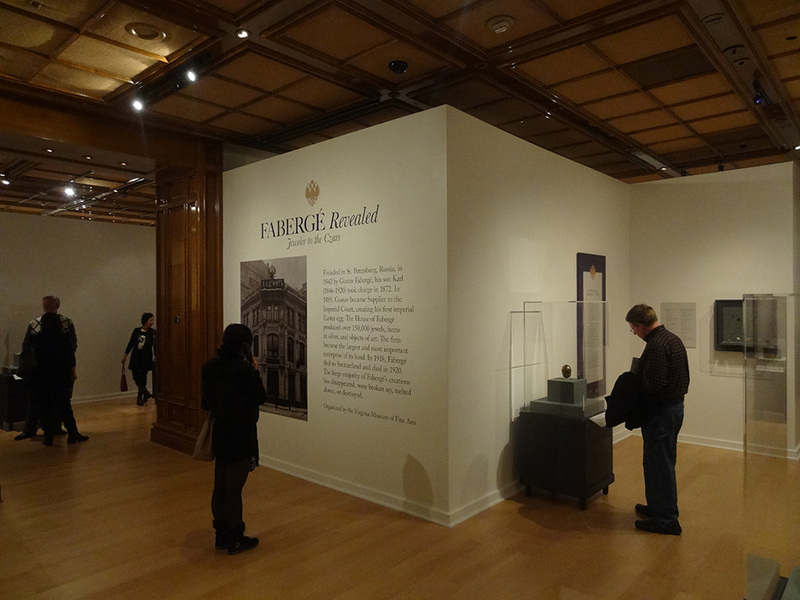 Fabergé Revealed: Jeweler to the Czars contains several ornate and gorgeous pieces, and the family histories are no less compelling. 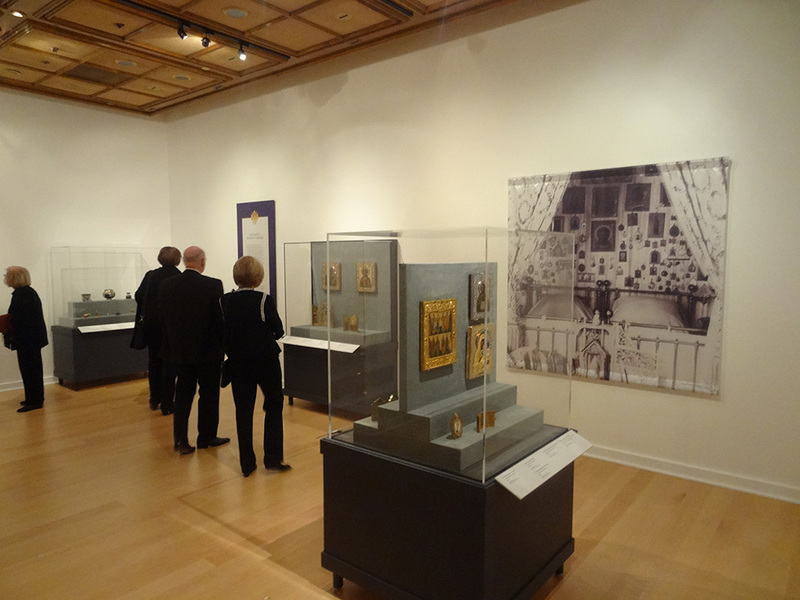 You should see this exhibit. 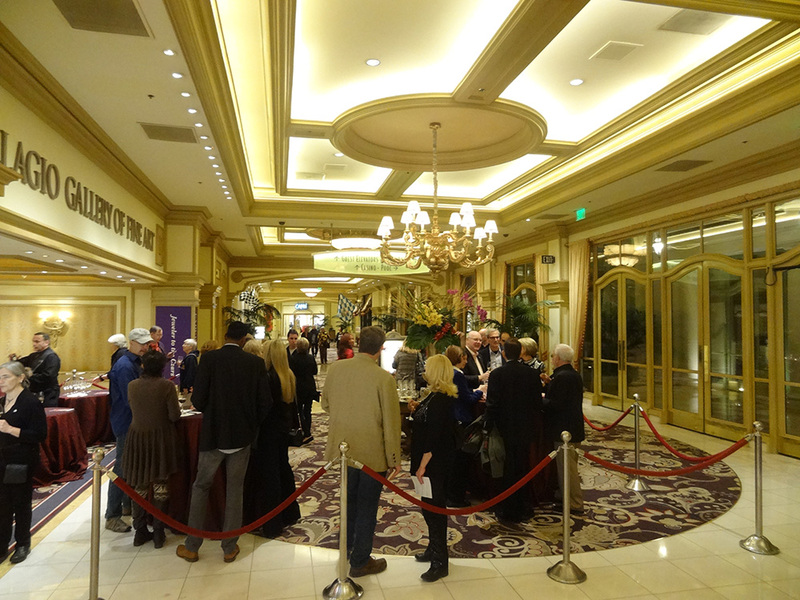 The Bellagio Gallery of Fine Art opens its doors from 10am to 7:30pm every day. 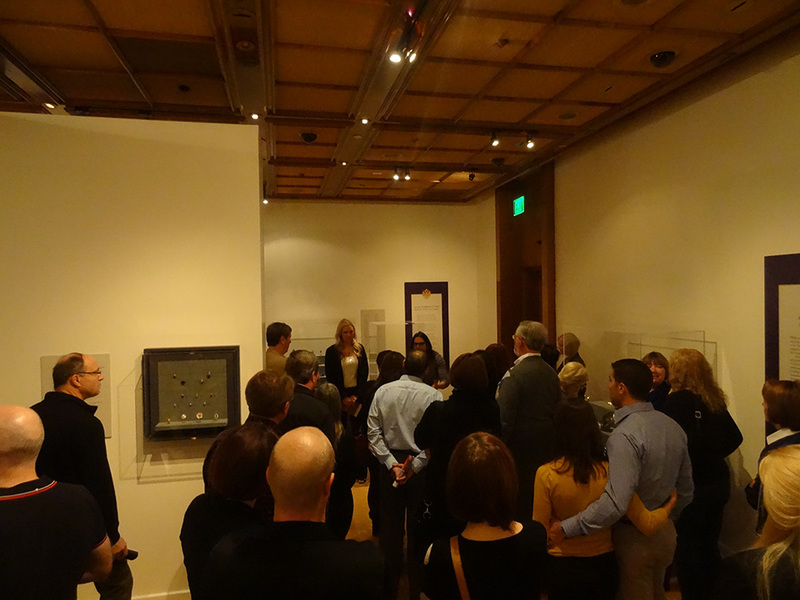 Docent tours happen at 2pm, or you can enjoy the self audio tour any time. And do try to attend one of these pairings. It’s a delicious and lively way to engage the art, while gleaning firsthand information from two masters. 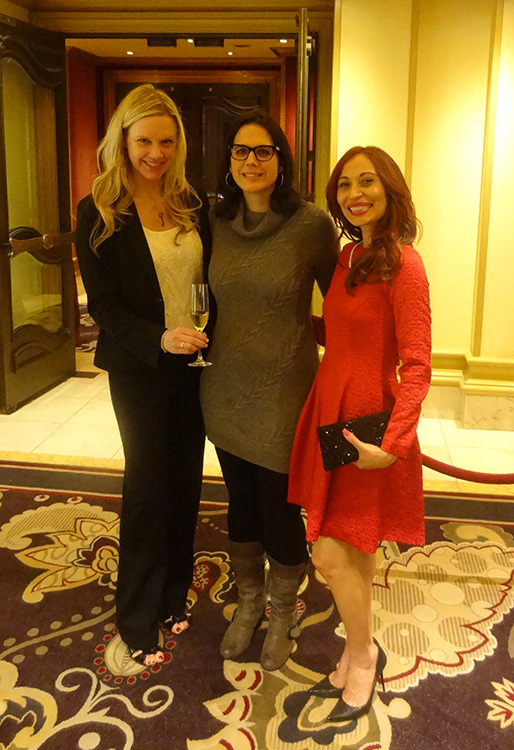 Seems like my dear friend Beli is always the belle of the ball. 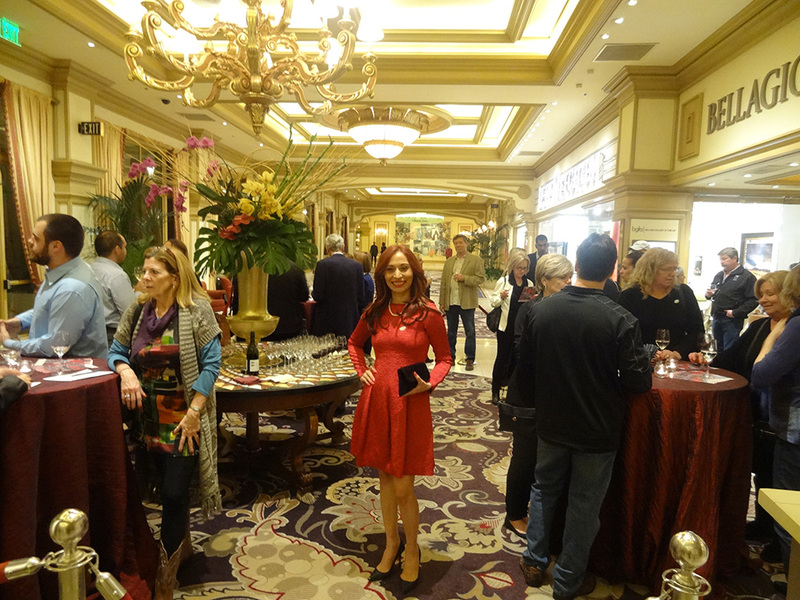 Of course her red outfit was a hit! 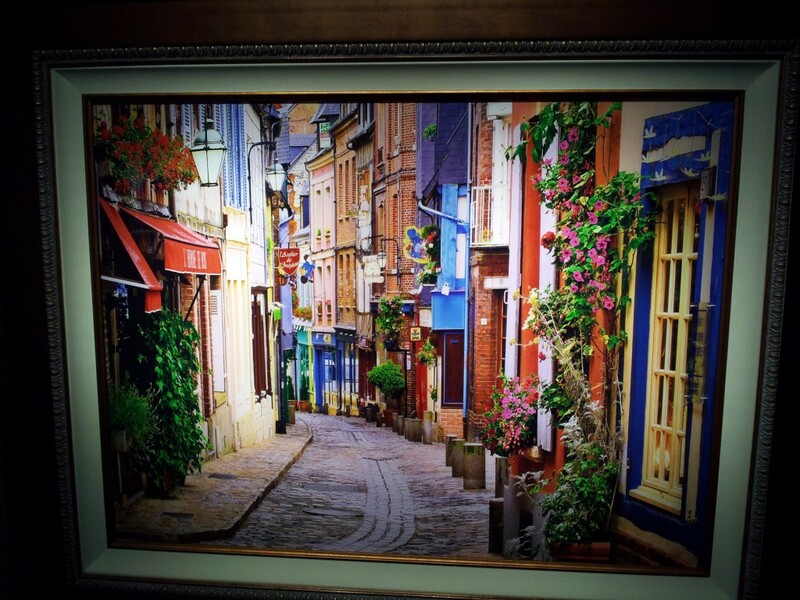 Art & Wine Pairing Event 5:00 p.m. – 7:00 p.m.